Landskroon Self Catering Cottage - Paarl Accommodation. Experience the pleasure of staying on a wine farm. Soak up the beauty of the surrounding views. 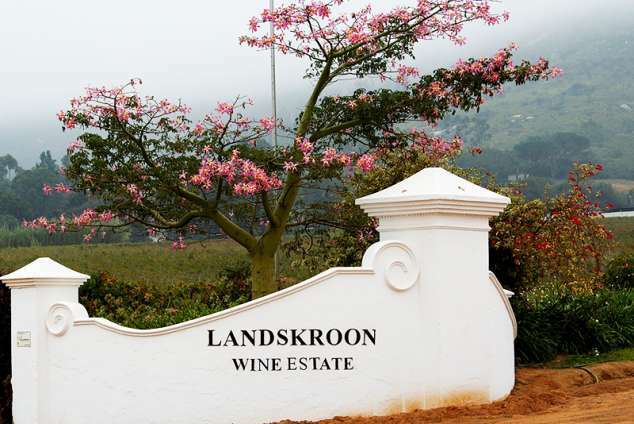 The Landskroon Cottage caters for tourists to the Western Cape. Our close proximity to the towns of Franschhoek, makes this an ideal base from which to explore the famed Cape Winelands. With the city of Cape Town only 40 minutes away, it is a tranquil retreat after a day spent in this world renowned tourist destination. The cottage can sleep four; it has a double bed plus a double sleeper couch. The bedroom has a bathroom and suite with both bath and shower. Additionally, there is a guest toilet. The Landskroon cottage has all conveniences to make your stay pleasurable. It is equipped with a stove, microwave oven, laundry facilities and TV and is serviced daily. To facilitate the great South African tradition of a braai we have provided and indoor and an outdoor barbeque. If you can't leave your business behind, facsimile and e-mail services are available at Landskroon Business Centre. 30255 page views since 06 Nov, 2007.